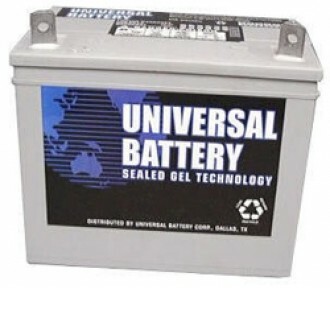 All of Universal's state-of-the-art lead-acid battery are valve-regulated (sometimes called "sealed" or maintenance-free), which fixes the acid electrolyte in a gel or in an absorptive fiberglass mat. The advantage of this design is that the battery needs no water additions, can be operated in any position, and can be used in close proximity to people and sensitive equipment. Price is for single battery. Click the button below to add the UB24 Lead Acid Battery to your wish list.